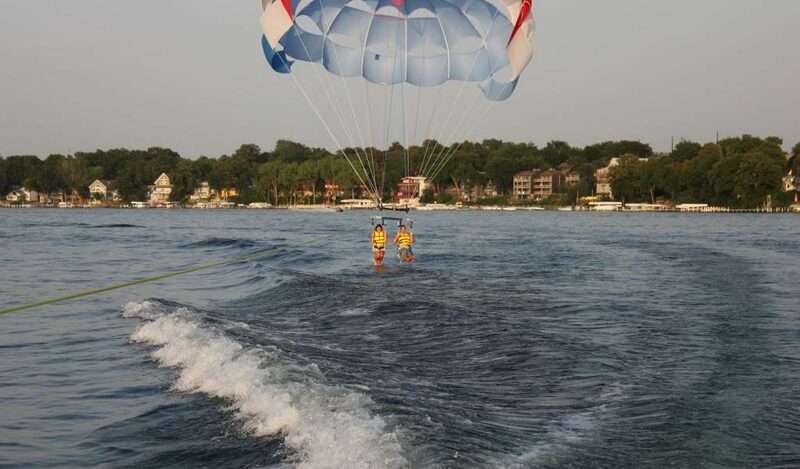 Welcome to Extreme Water Sports! 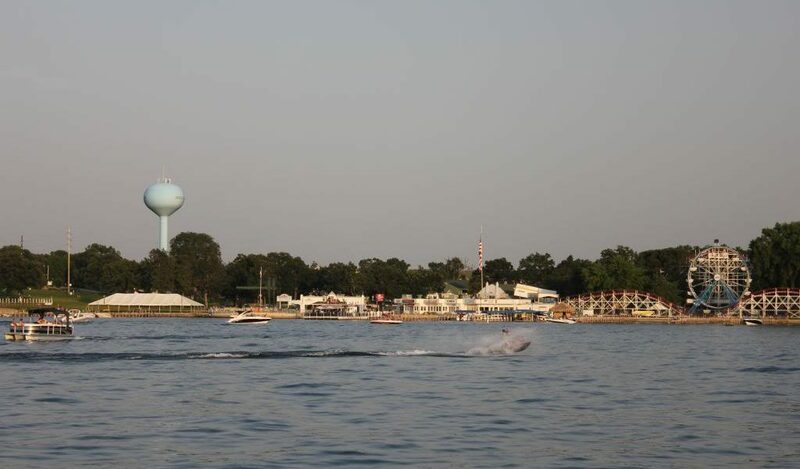 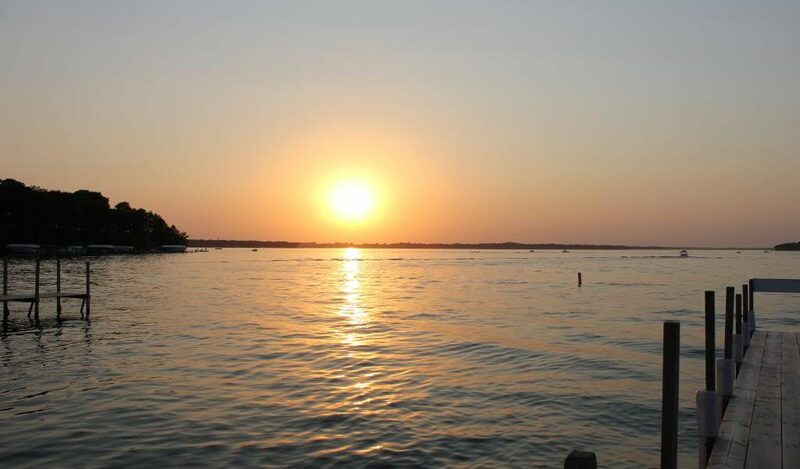 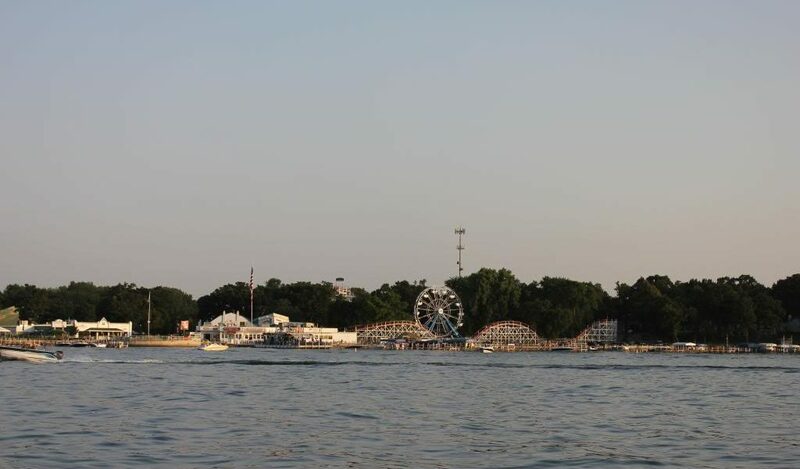 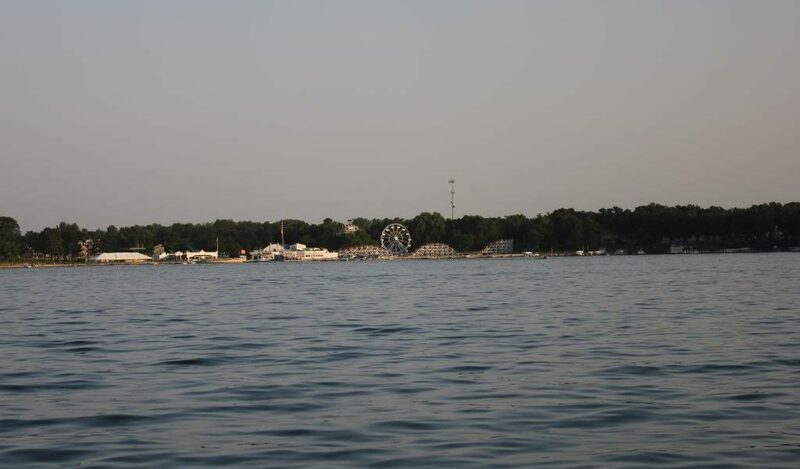 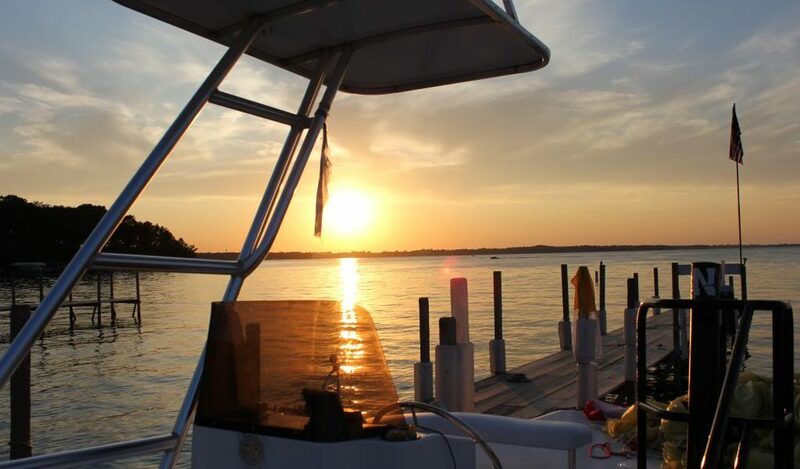 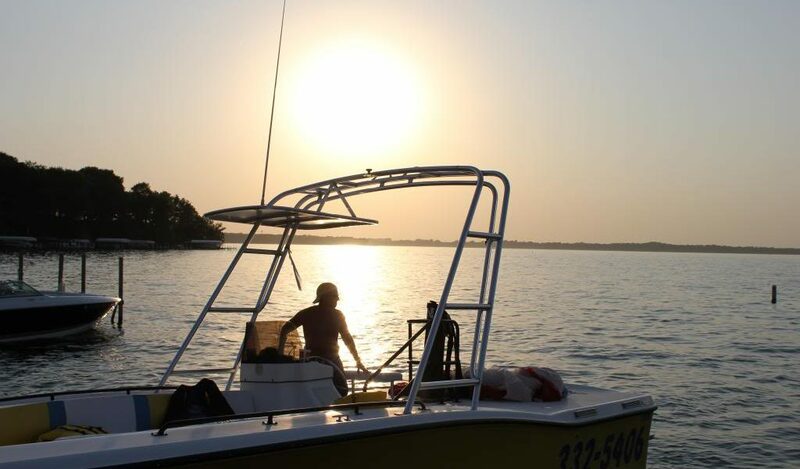 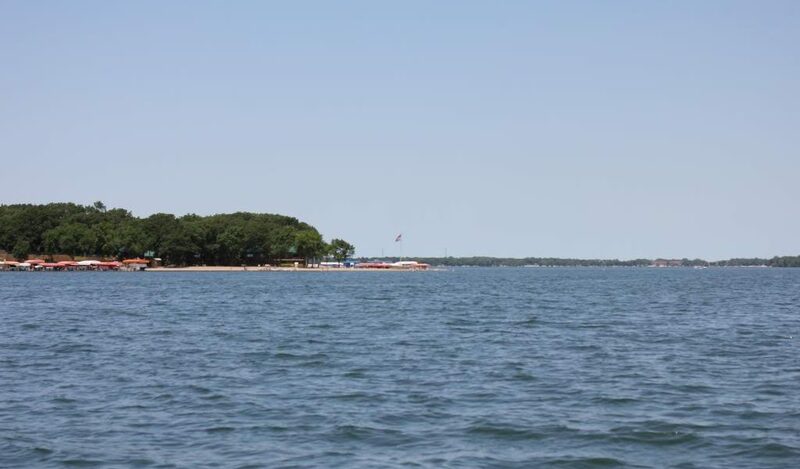 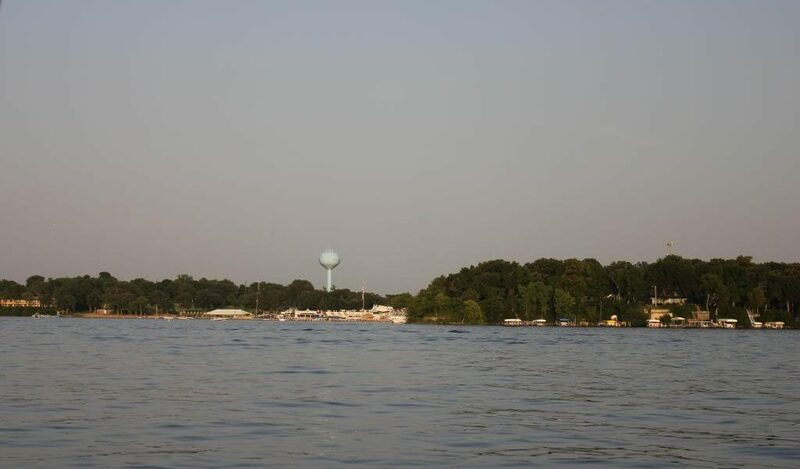 Arnolds Park and your Adventure on Lake Okoboji starts here. 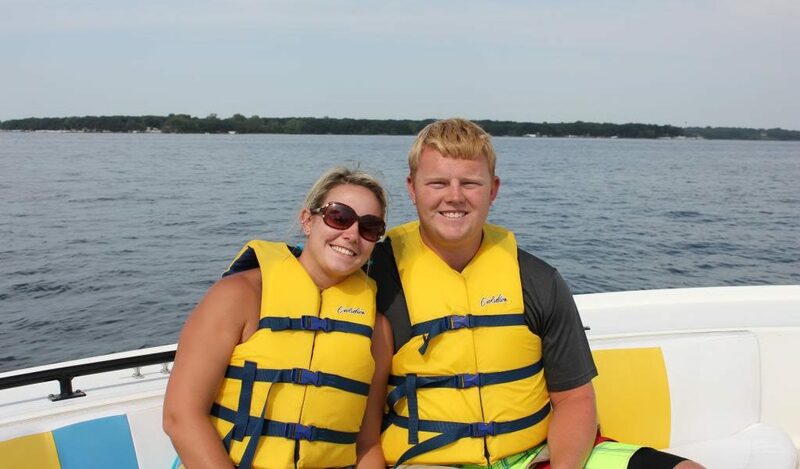 So glad you took a moment to visit our website. 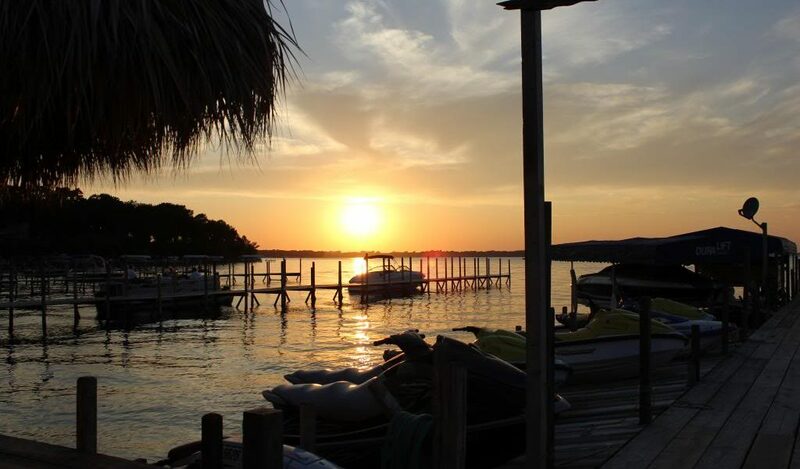 We can’t wait to help you with your vacation plans! 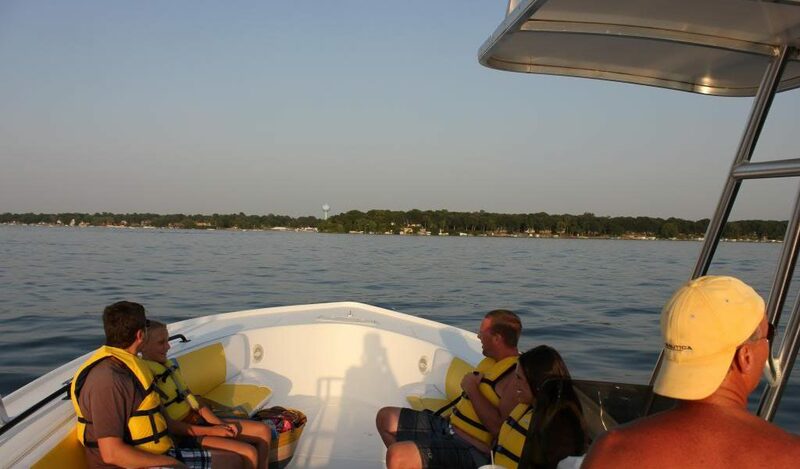 Even an afternoon can be your chance to build memories that will last a lifetime! 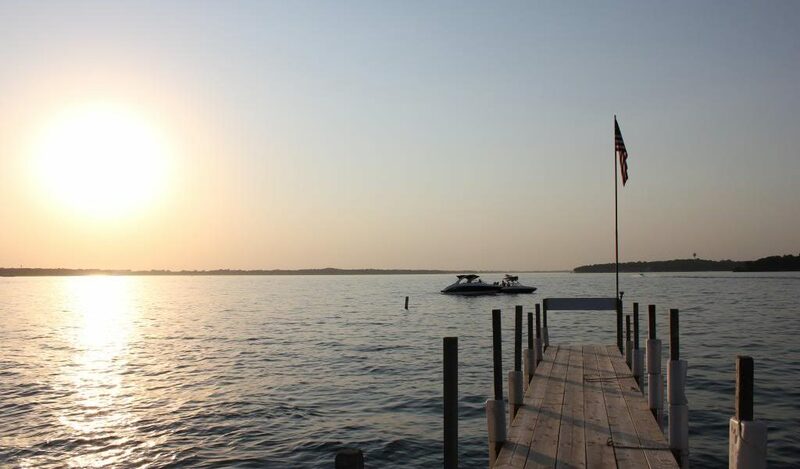 We Welcome You! 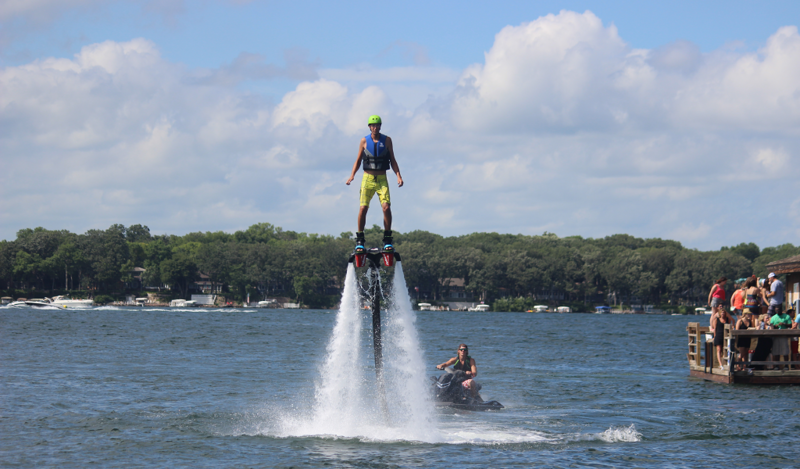 A Flyboard is a type of water jetpack attached to a Jet Ski which supplies propulsion to drive the Flyboard through air and water to perform a sport known as flyboarding. 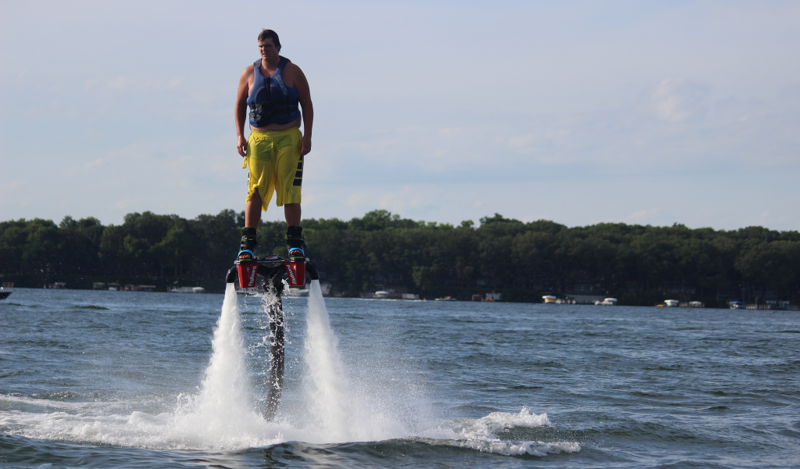 A Flyboard rider stands on a board connected by a long hose to a Jet Ski. 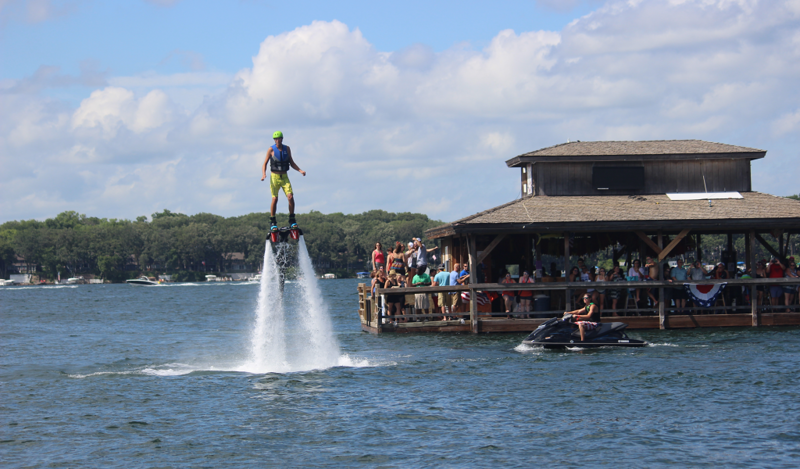 Water is forced under pressure to a pair of boots with jet nozzles underneath which provide thrust for the rider to fly up to about 30 feet in the air or to dive headlong through the water down to about 8 feet. 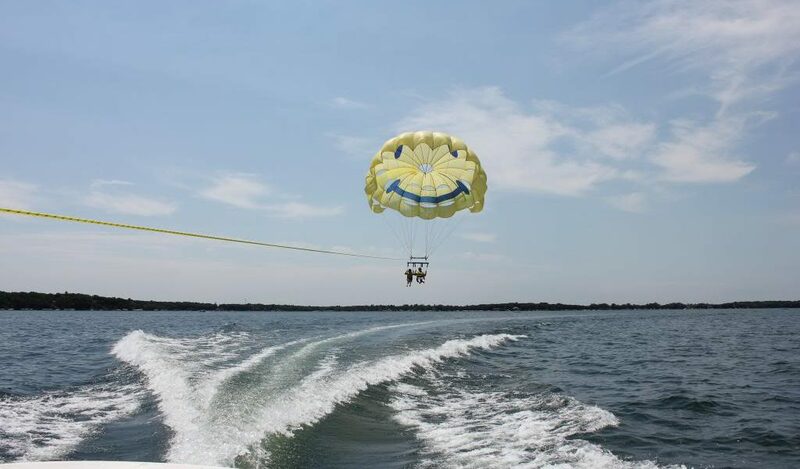 An amazing ride that lets you experience the thrill of flying above or below water. 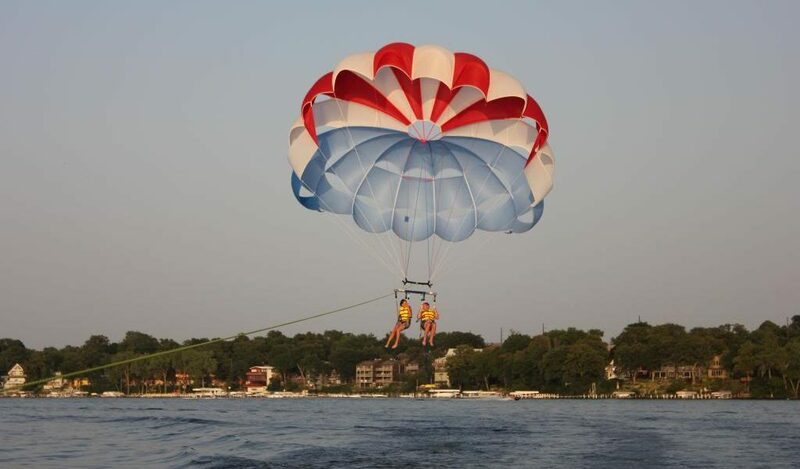 See Lake Okoboji like never before, from a bird’s eye and fish eye view ! 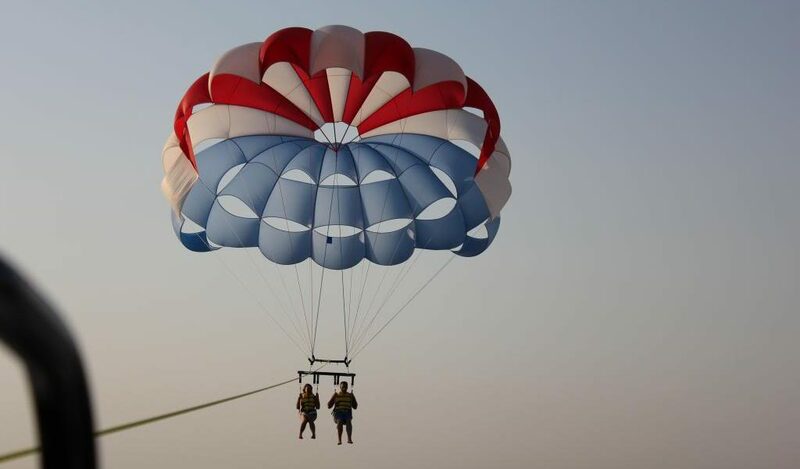 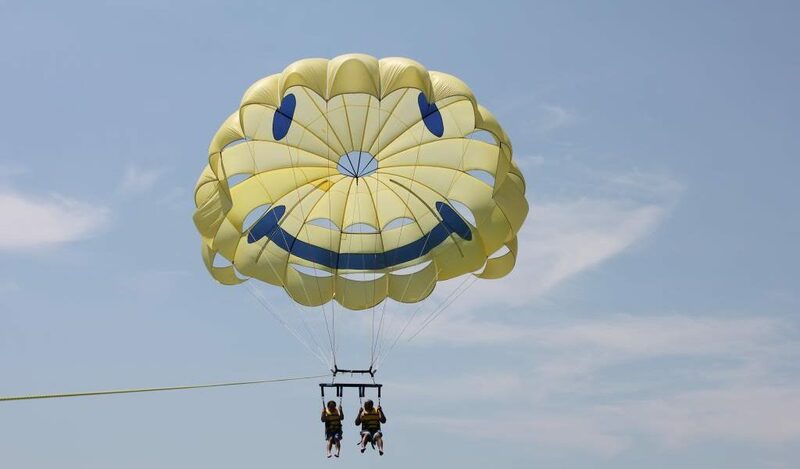 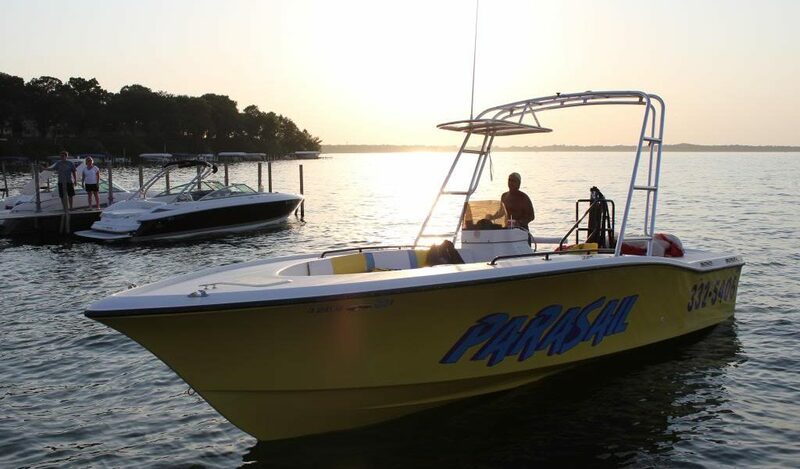 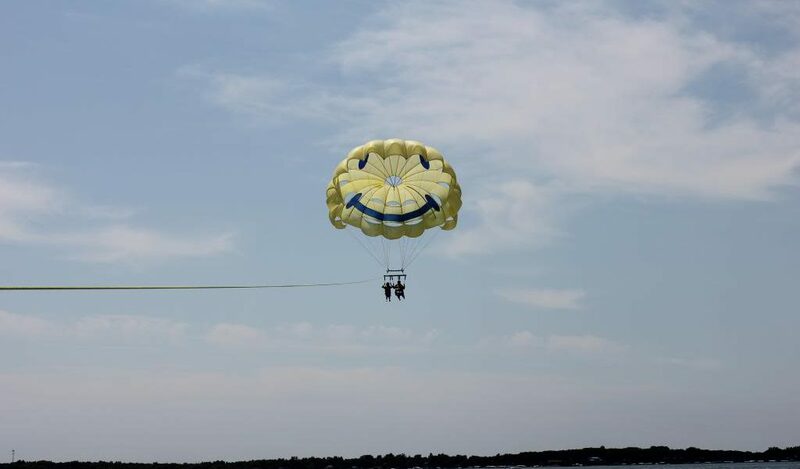 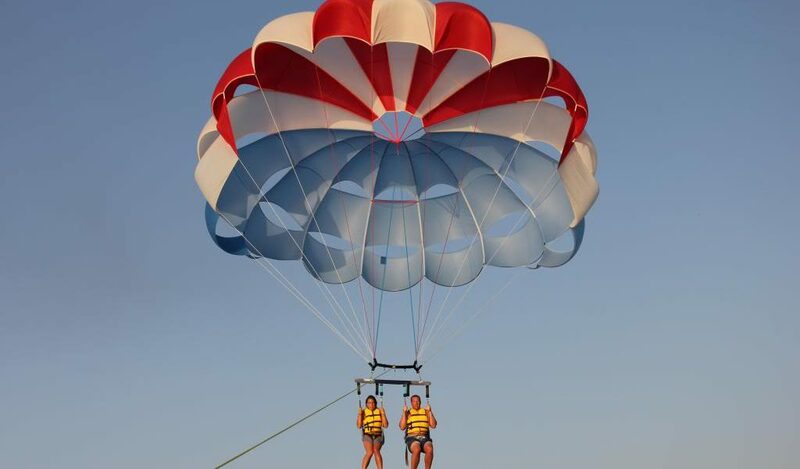 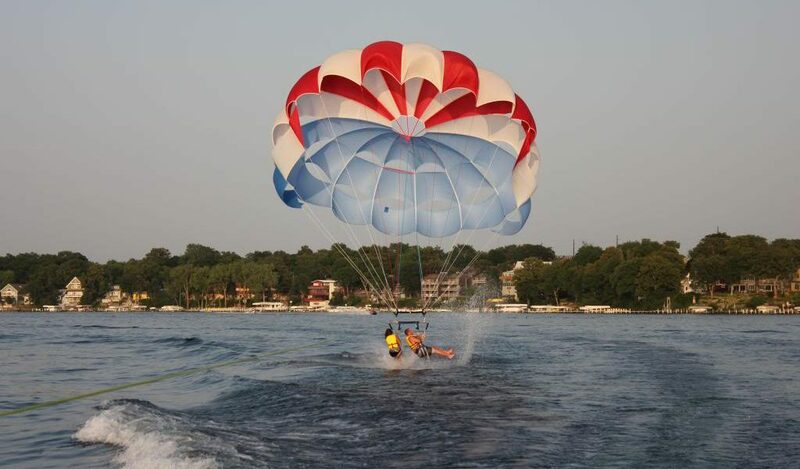 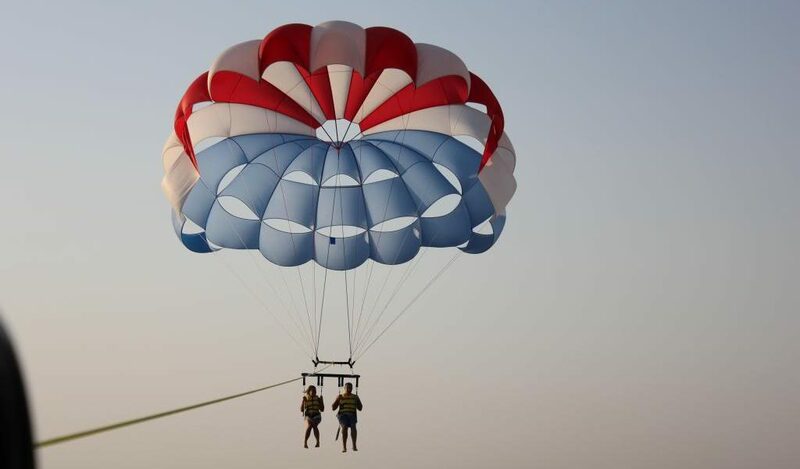 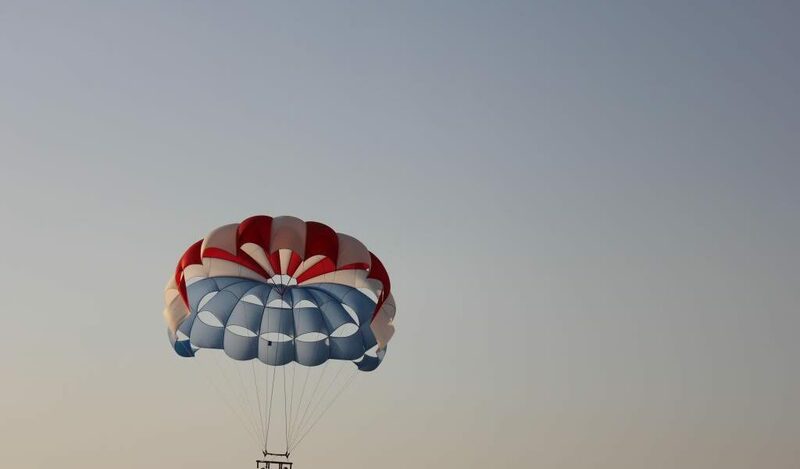 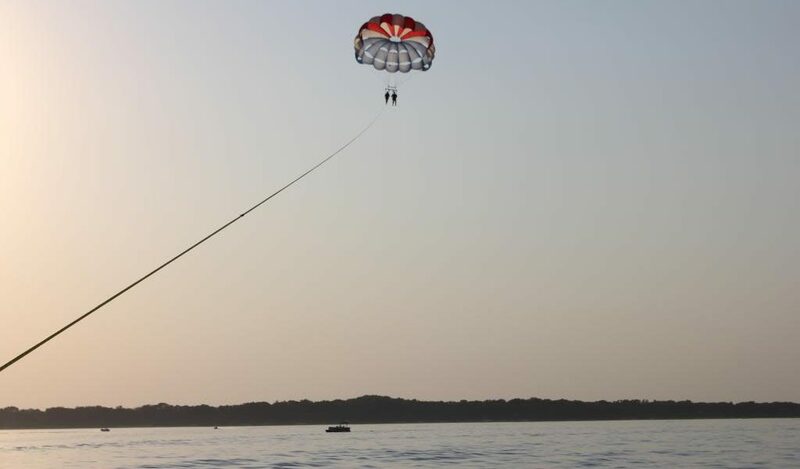 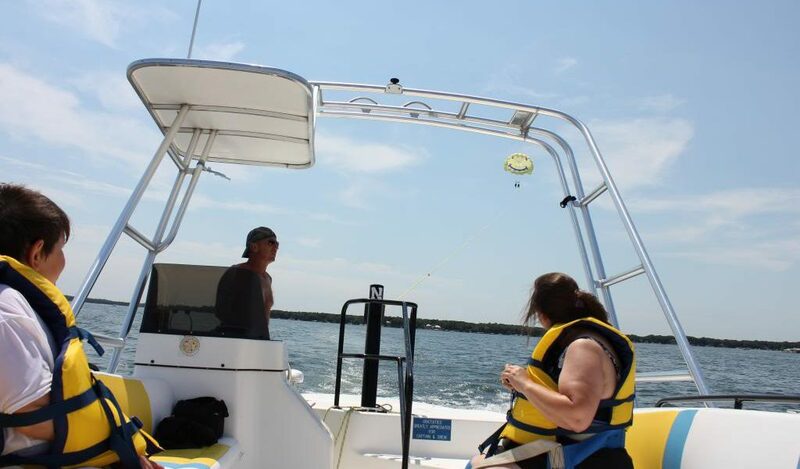 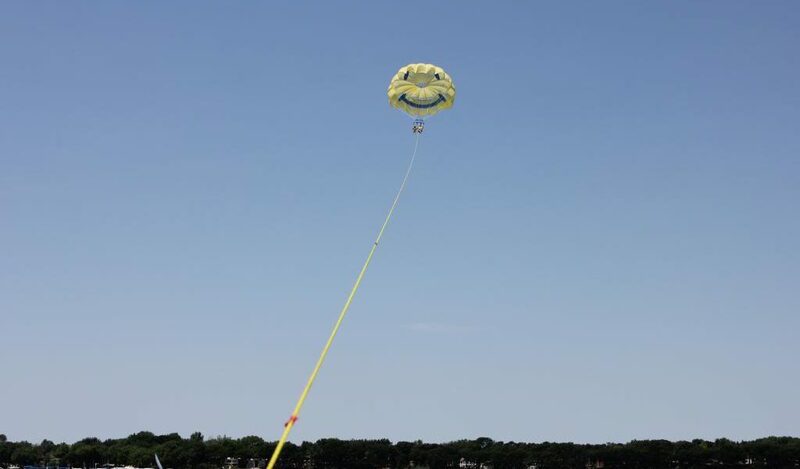 When parasailing you will experience the ultimate ride in the sky, up to 600 feet, while being gently launched and recovered directly from the Commercial Water Sports parasail boat. 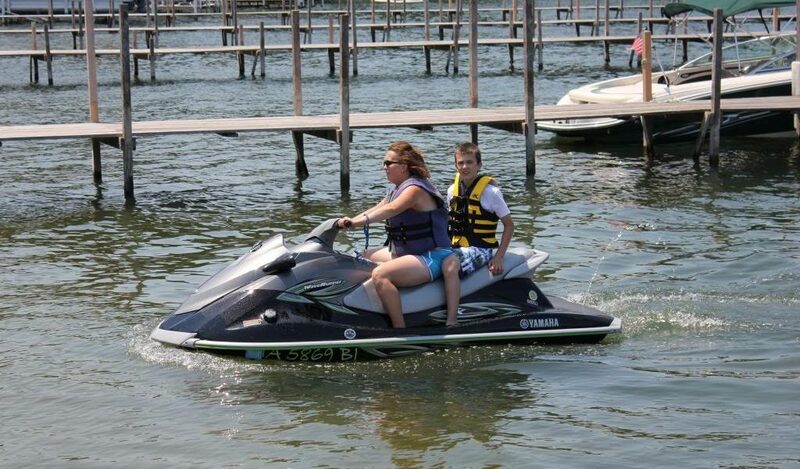 You don’t even get WET! 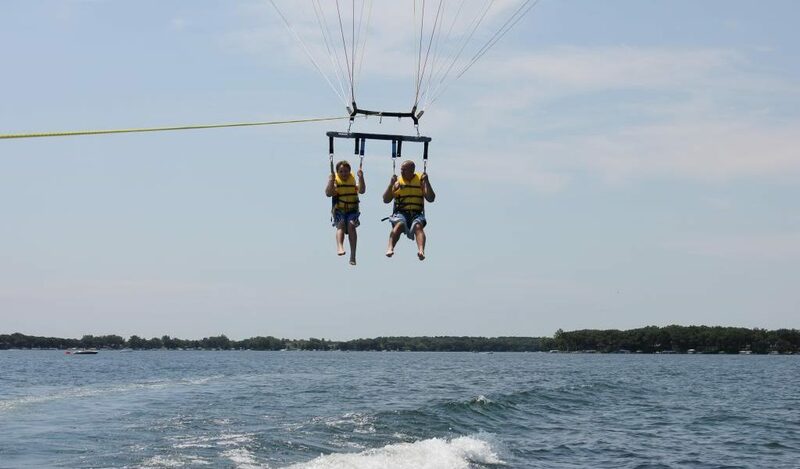 Anyone can fly, no age limit or skills required! 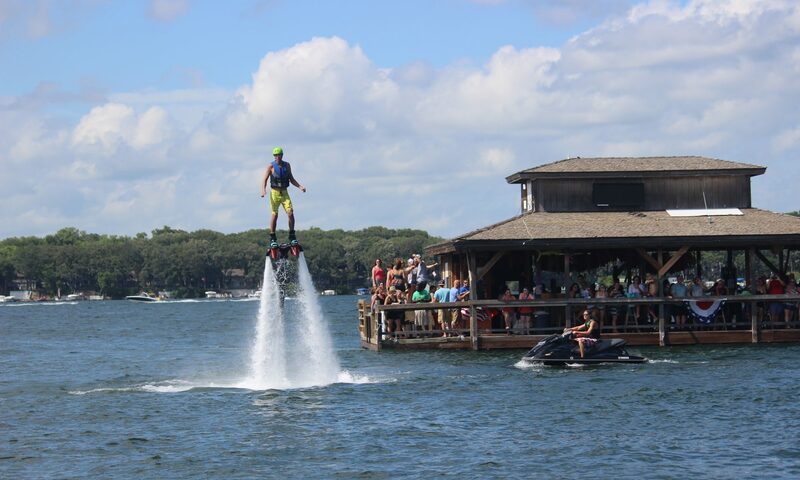 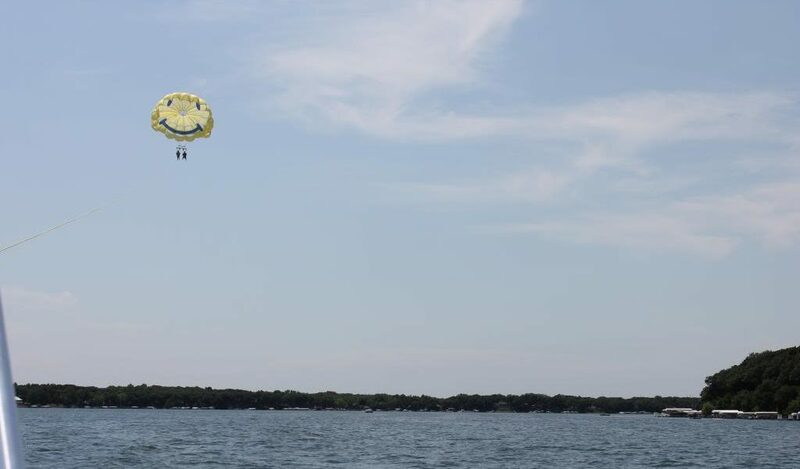 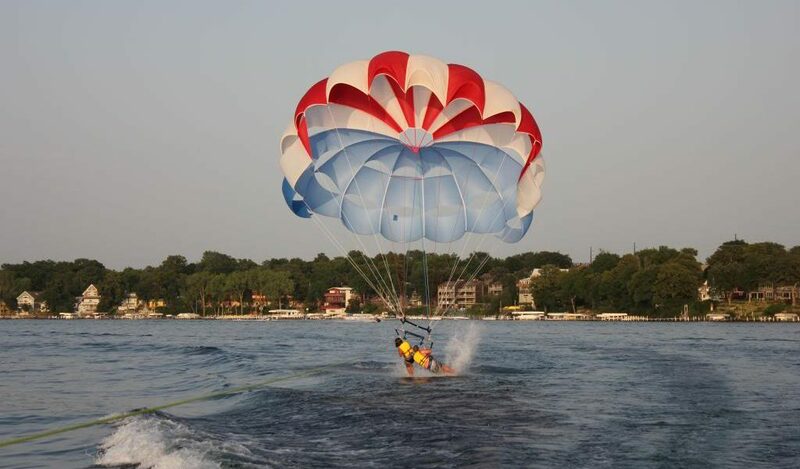 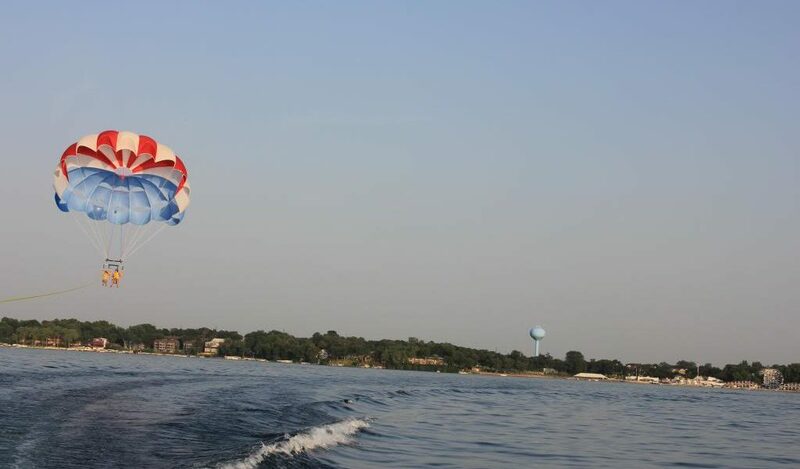 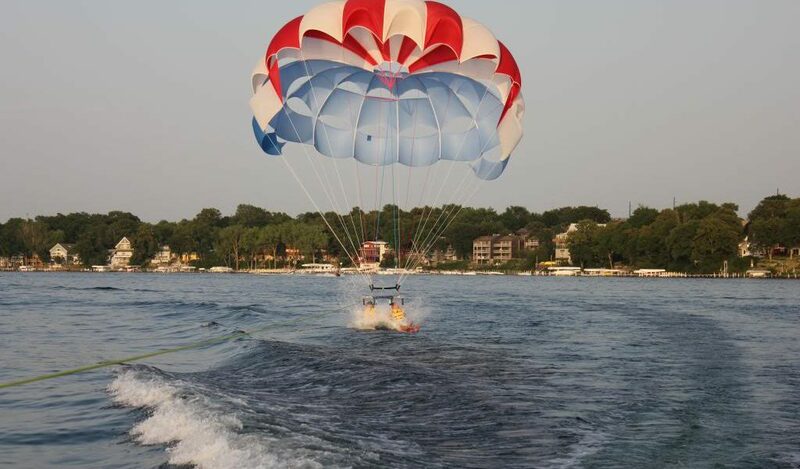 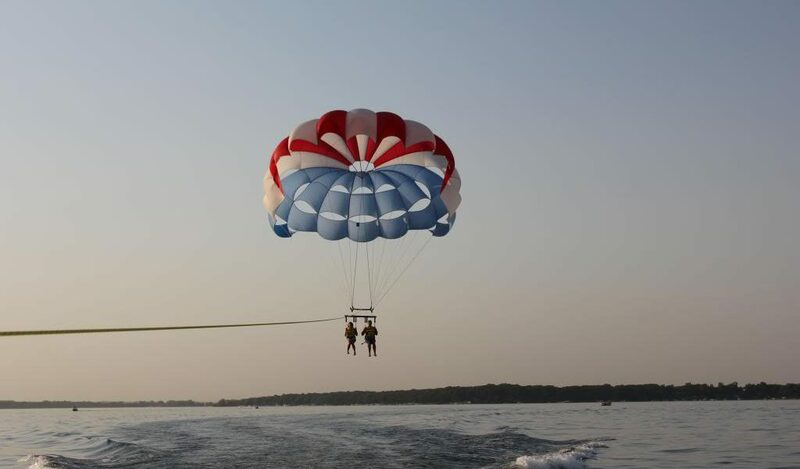 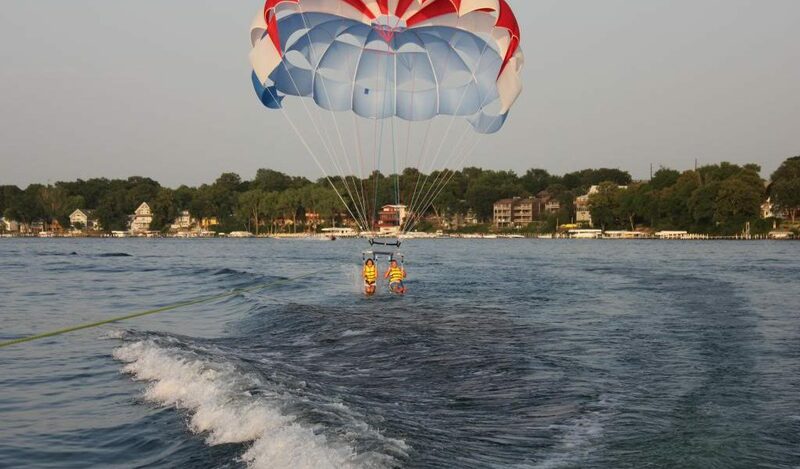 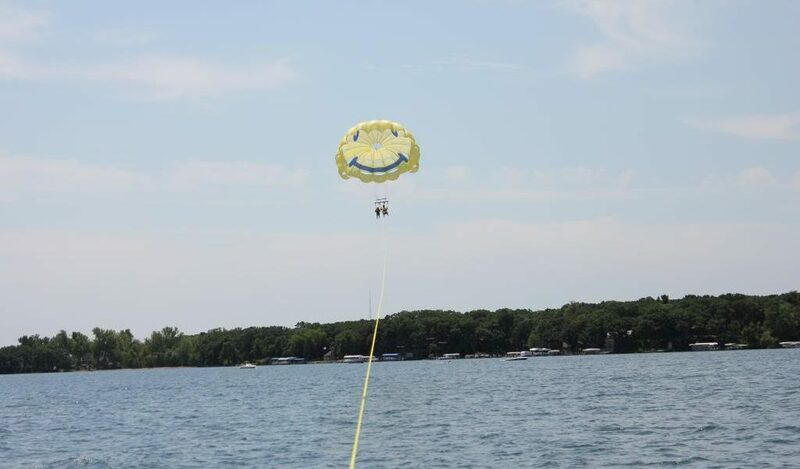 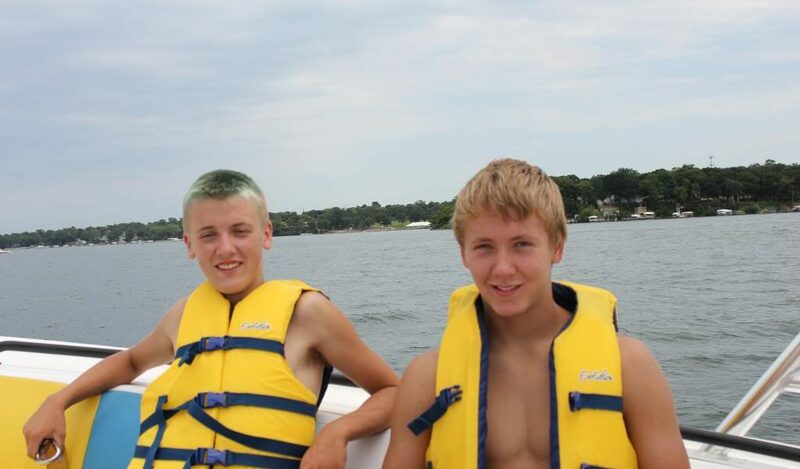 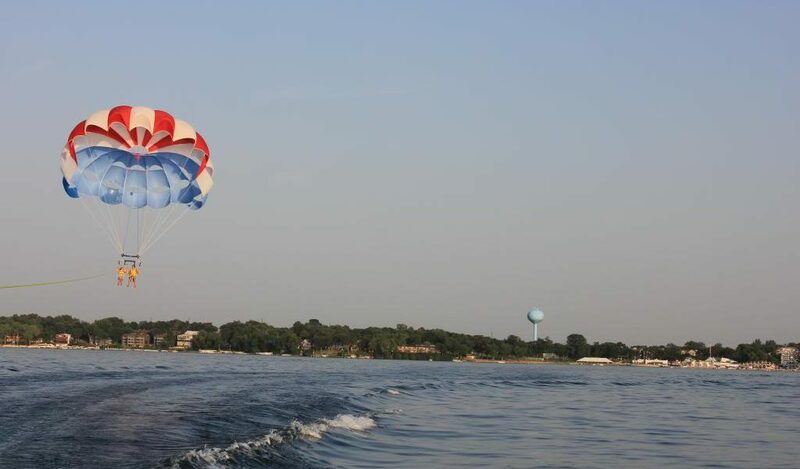 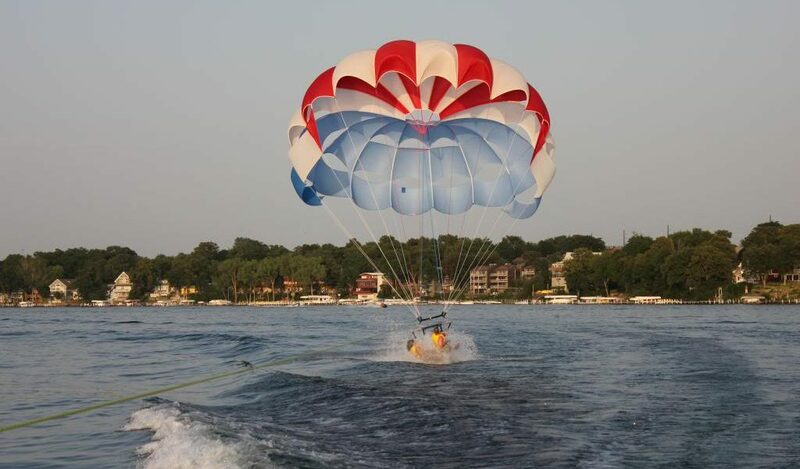 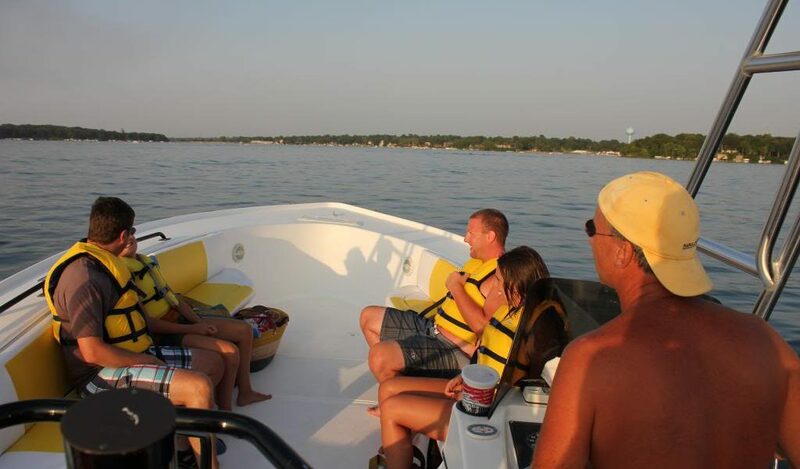 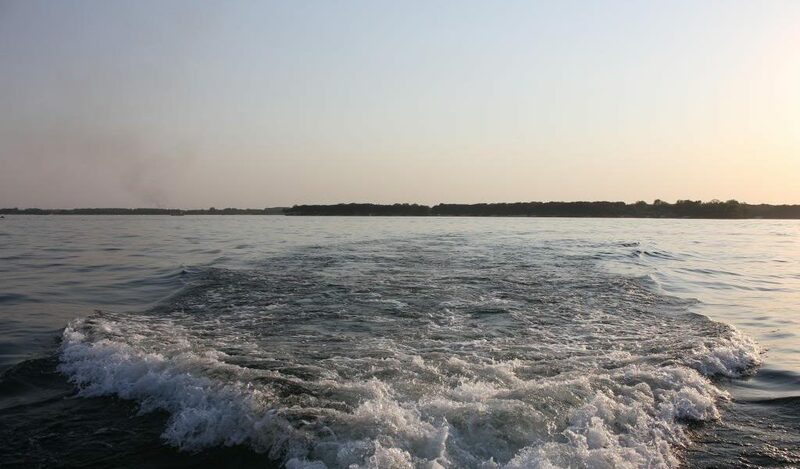 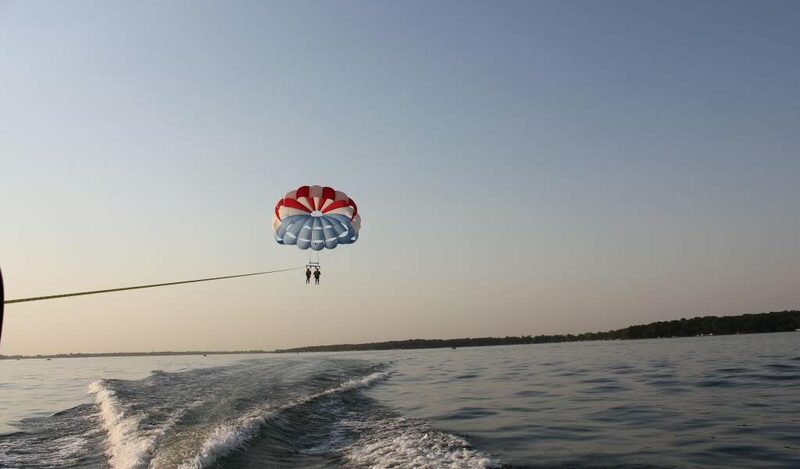 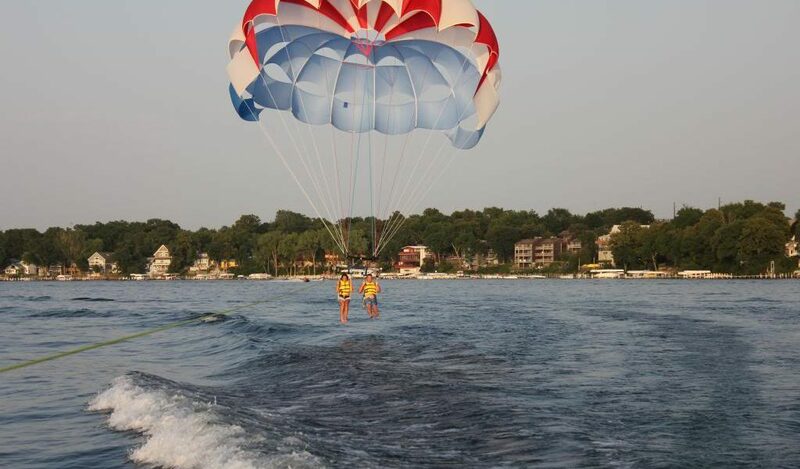 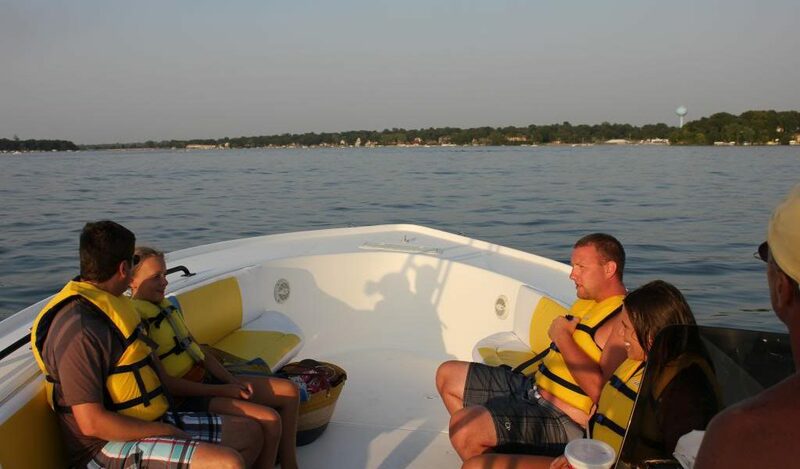 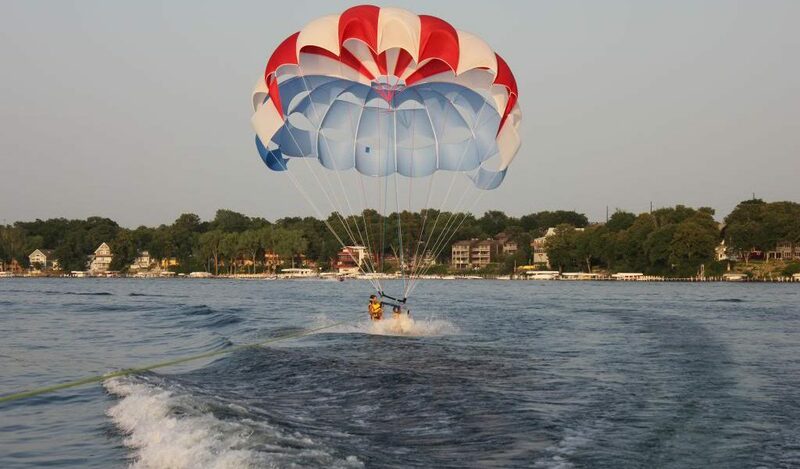 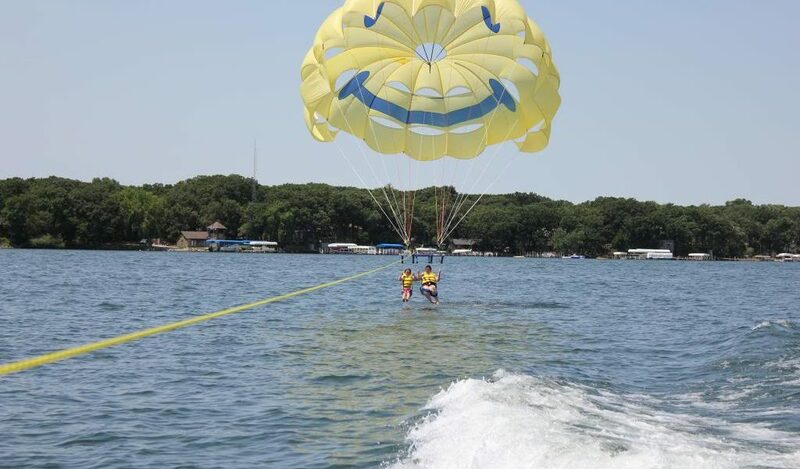 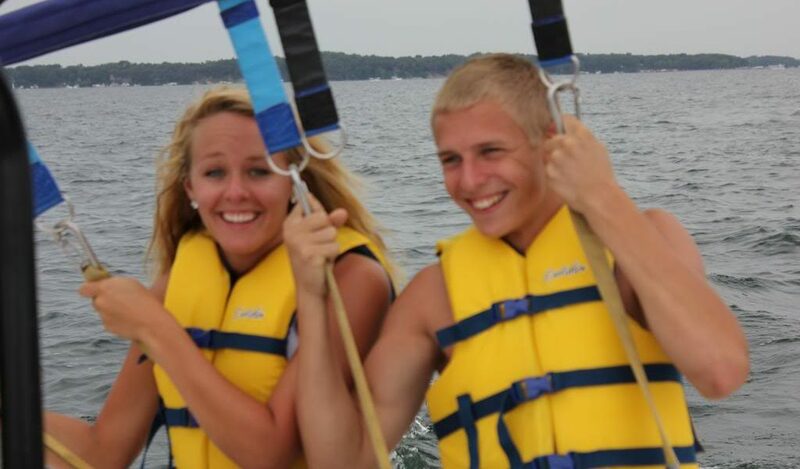 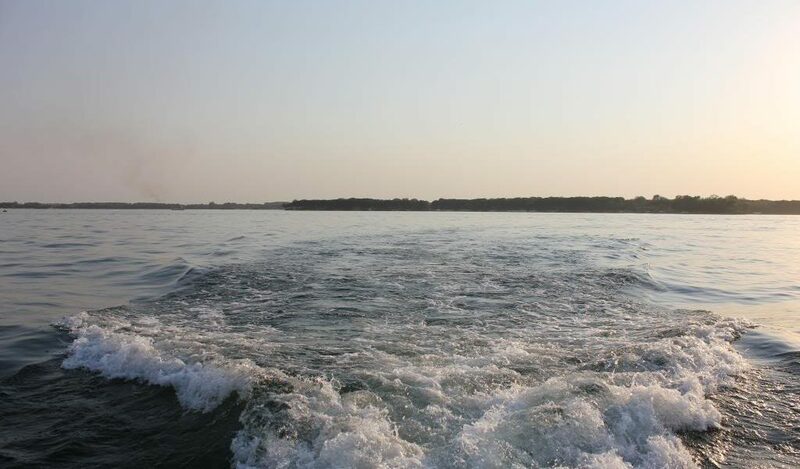 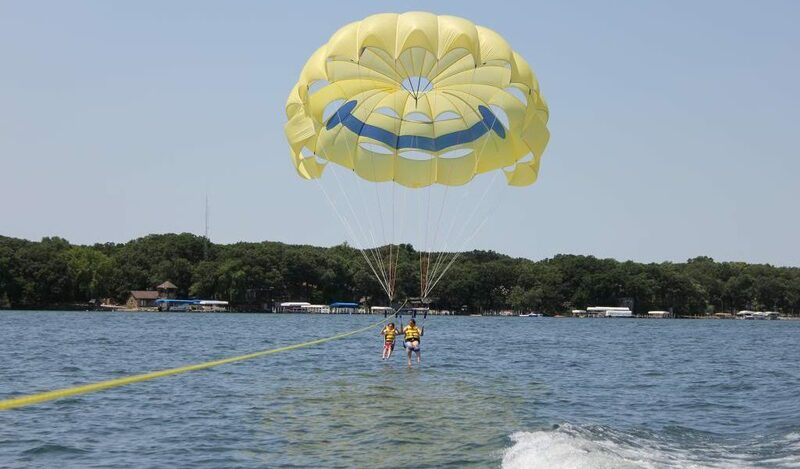 An exciting boat ride while you wait your turn to fly high above the Okoboji’s. 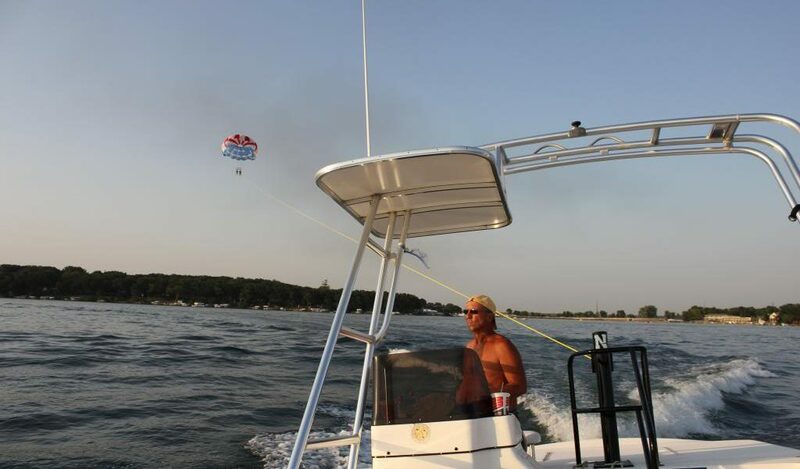 Imagine the thrill of riding in an offshore racing hull while awaiting your chance to fly skyward! 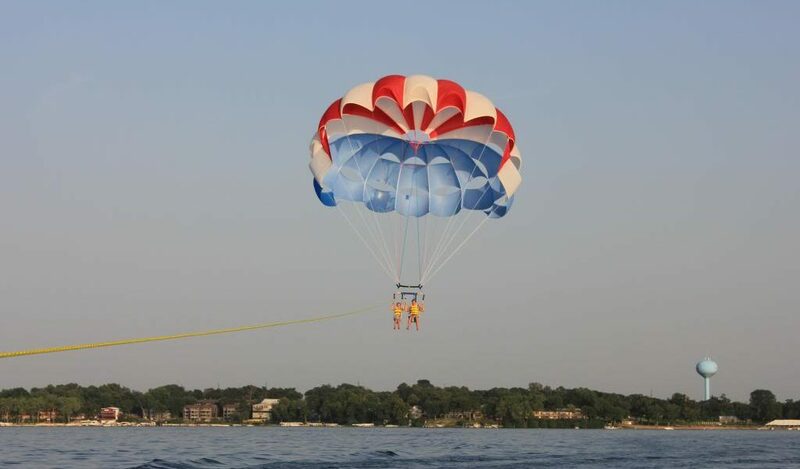 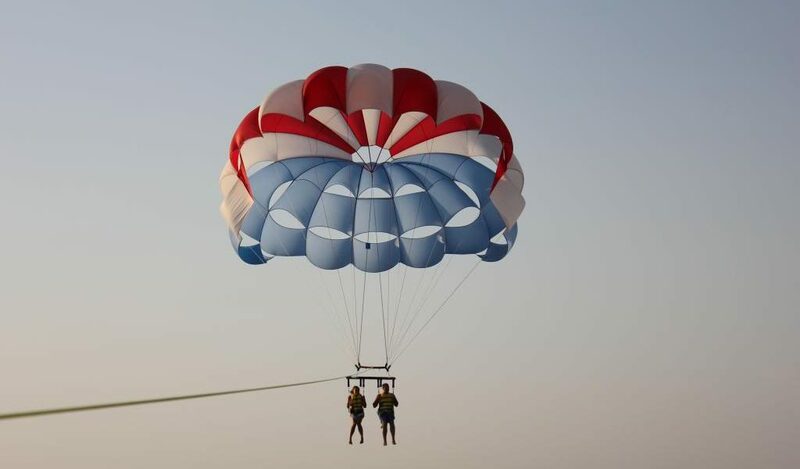 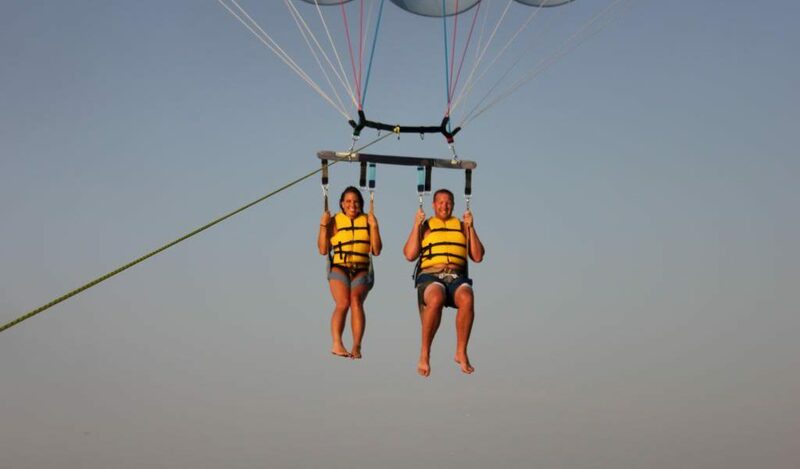 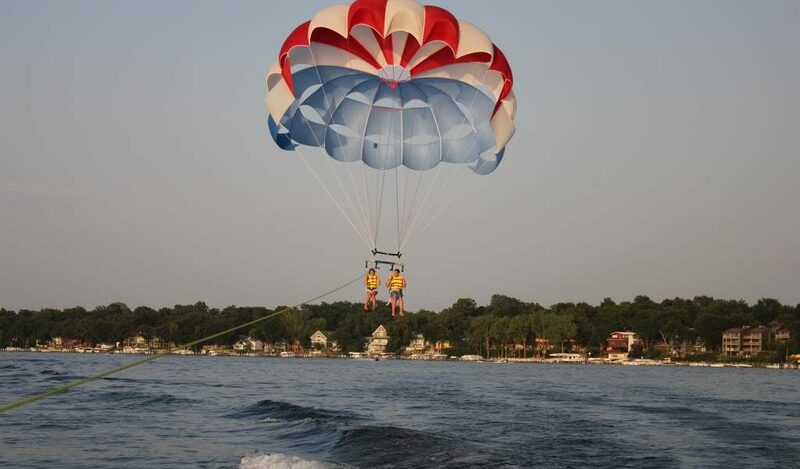 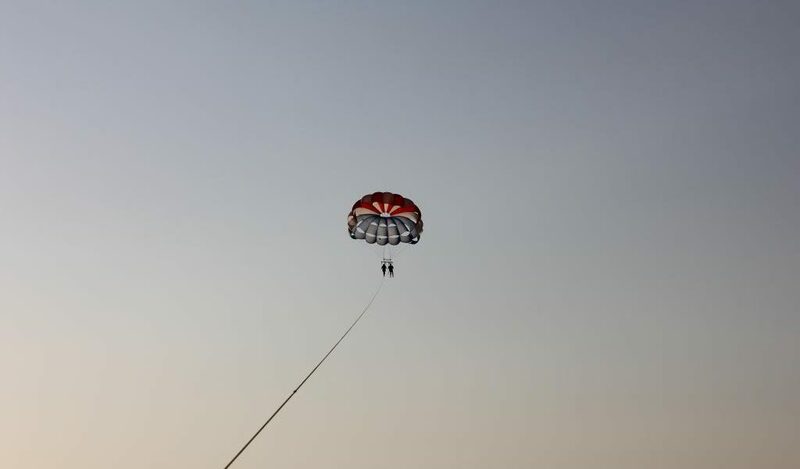 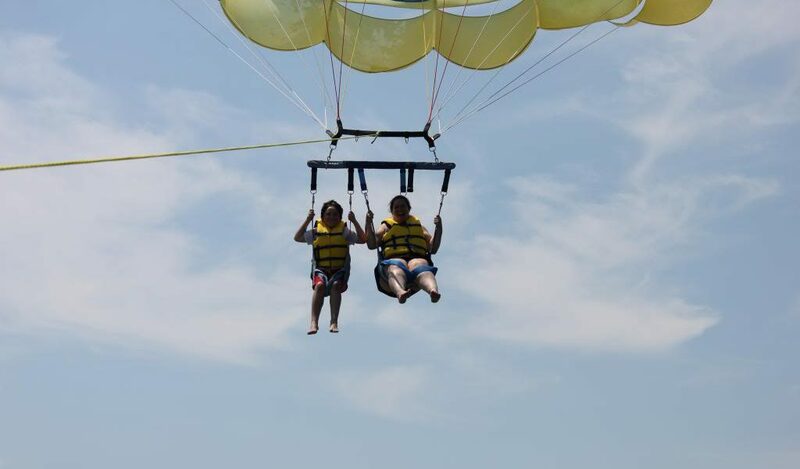 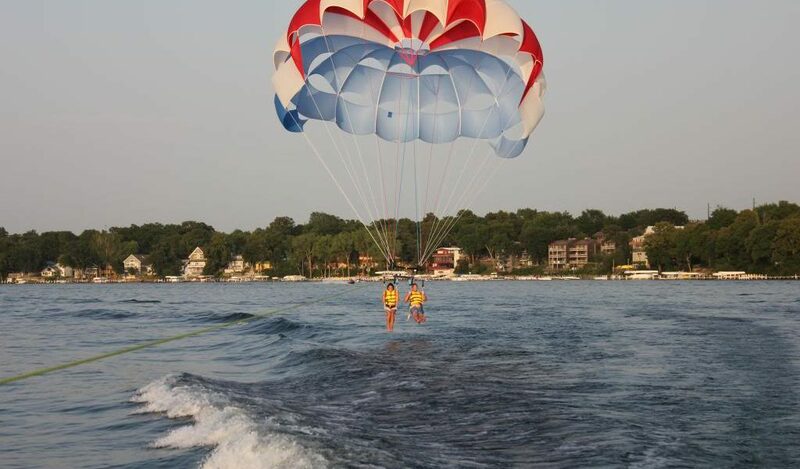 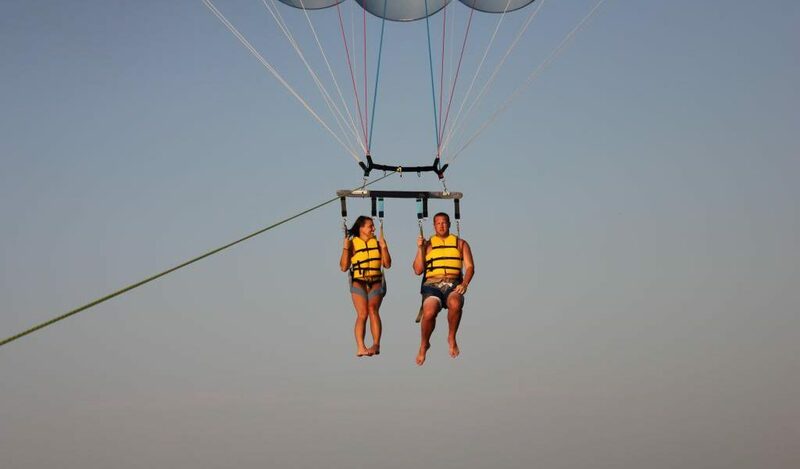 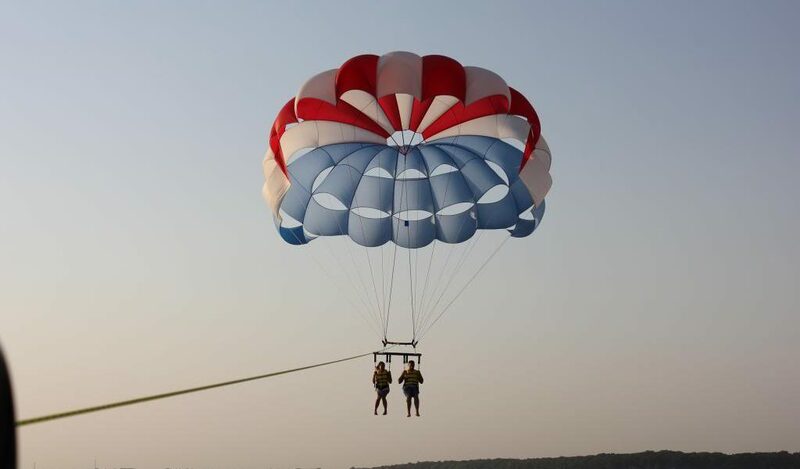 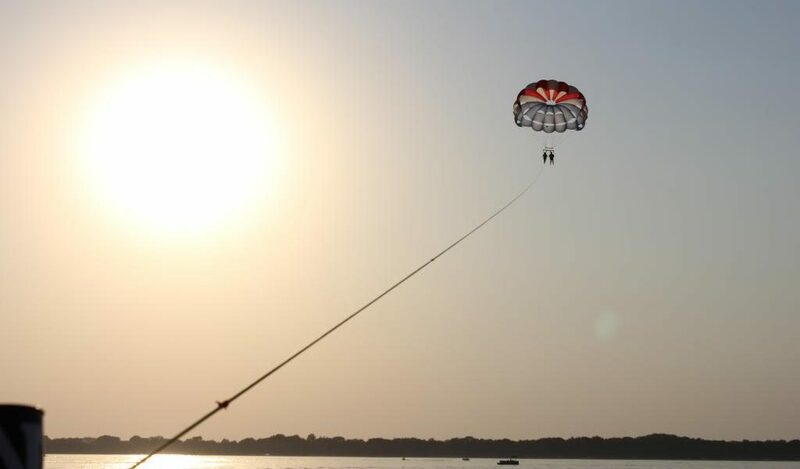 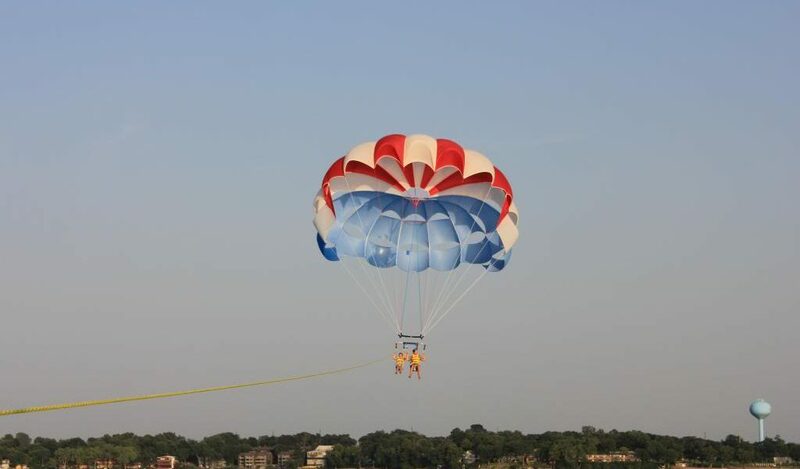 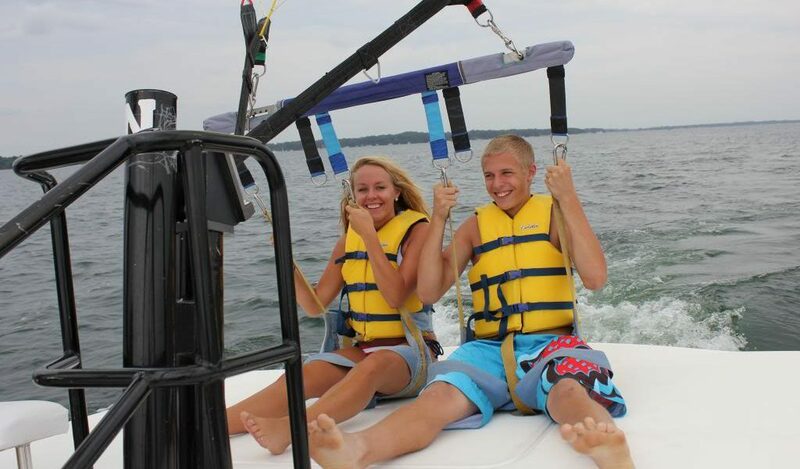 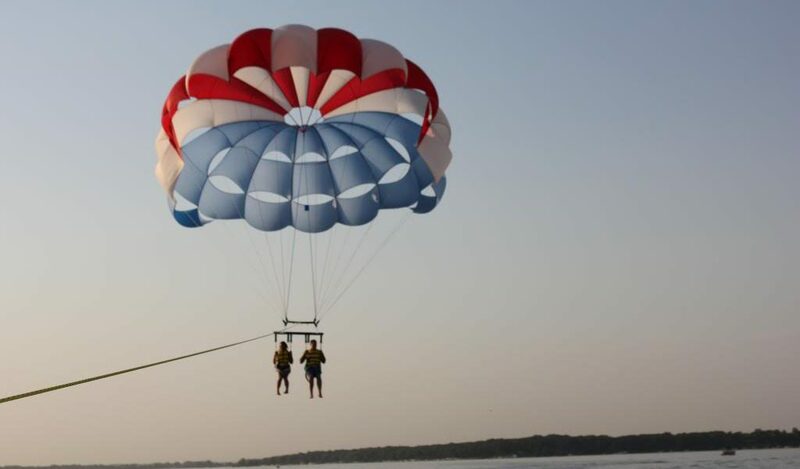 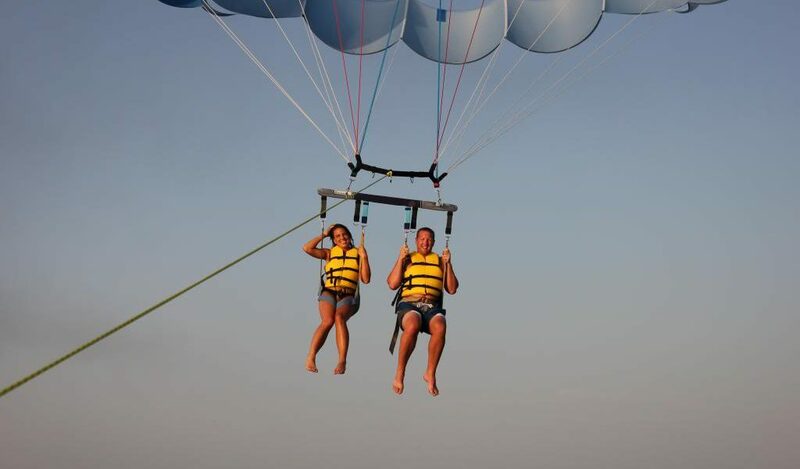 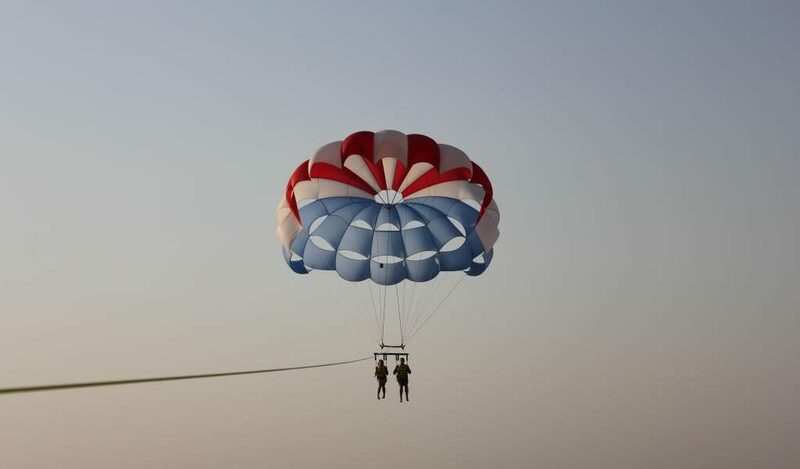 Two can parasail together, just as long as weather conditions prevail. 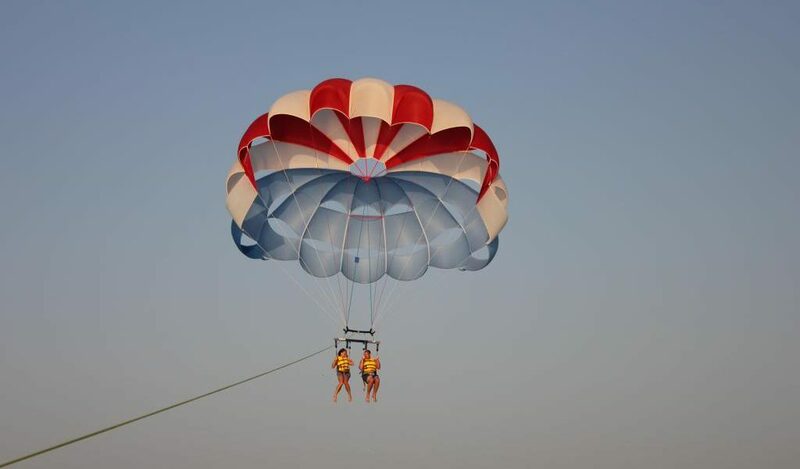 Your non-parasailing friends are welcome to come aboard to watch for a nominal fee. 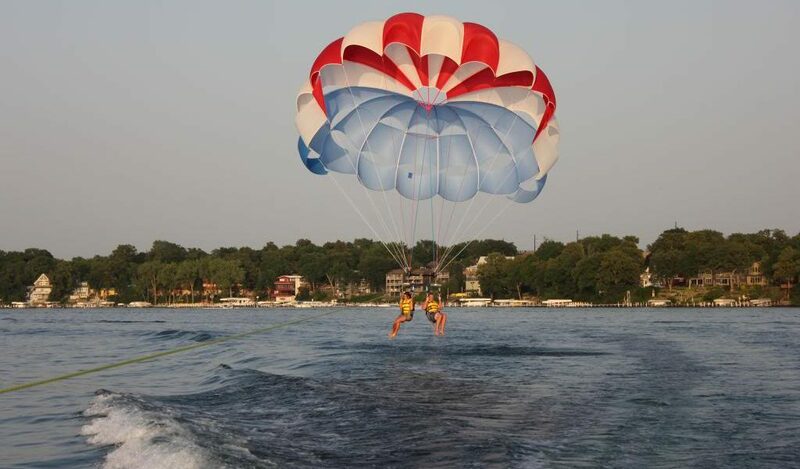 Experience the thrill of power boating, hot air ballooning, hang gliding, and parachuting all in-one, at a fraction of the cost! 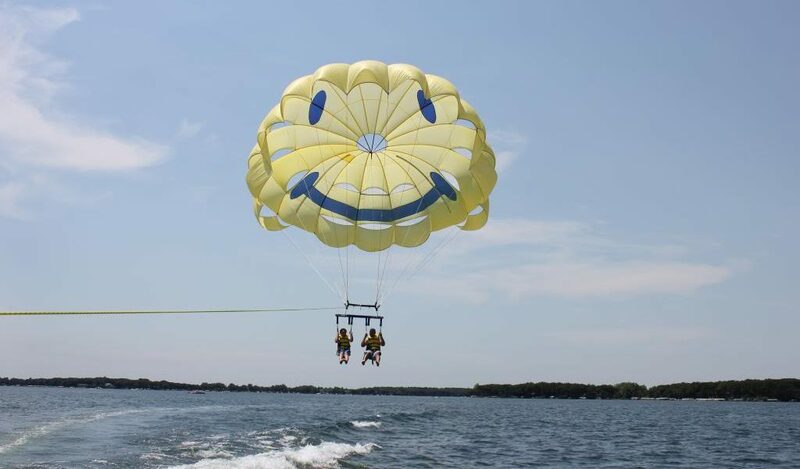 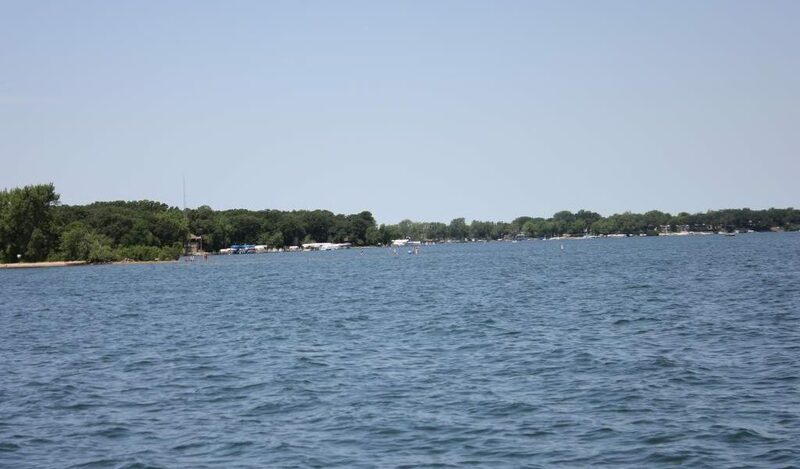 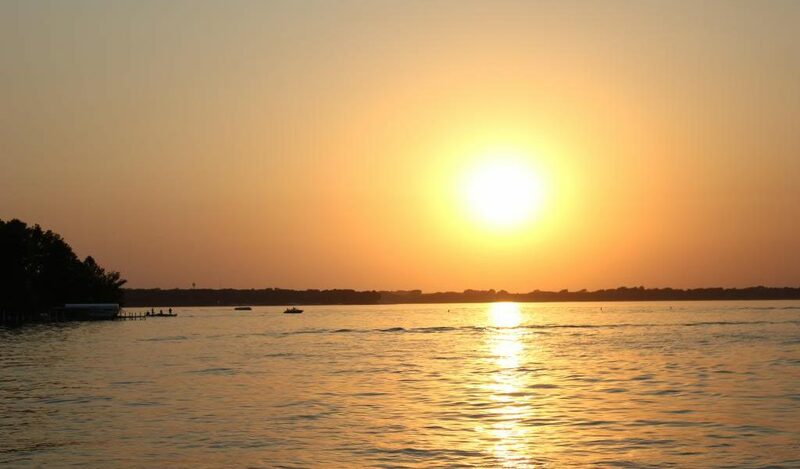 See Lake Okoboji like never before, from a bird’s eye view !